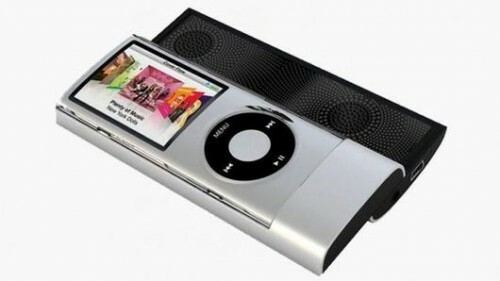 Power up your poolside party with a Solar Powered iPod Speaker. 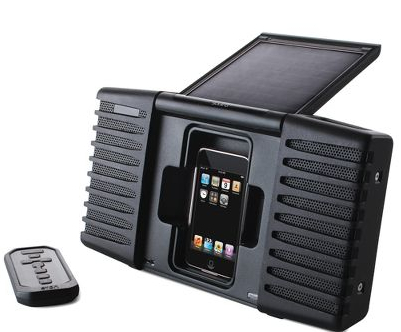 Hammacher is calling this “the world’s first solar powered iPod speaker” and a quick Google search sort of possibly maybe confirms that. 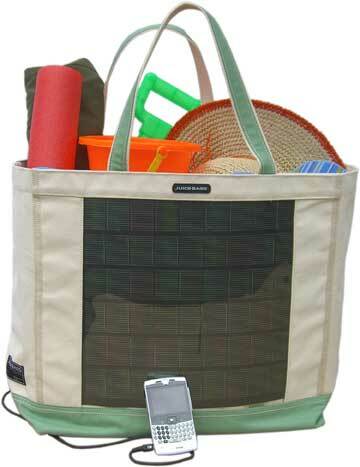 First or not, this speaker uses solar panels to charge an internal rechargeable lithium battery. Three hours of charging is enough for one hour of use. 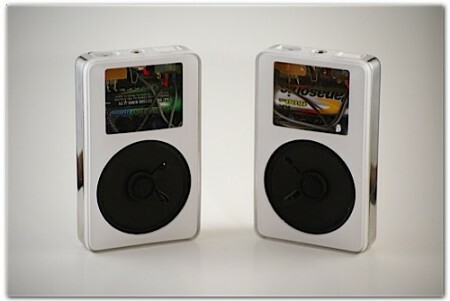 A pair of 5 watt speakers give a boost to your tunes. The speaker is housed in a rugged rubberized and aluminum body which is waterproof when the panel is closed- perfect for boating, poolside, or the beach (although if your speakers are getting wet at the beach, you’re probably sitting a little too close to the water, in my opinion.. but hey if you want to be the guy who has to quickly gather up all his stuff and run upshore when a slightly larger wave comes up the sand, then go ahead and be that guy). 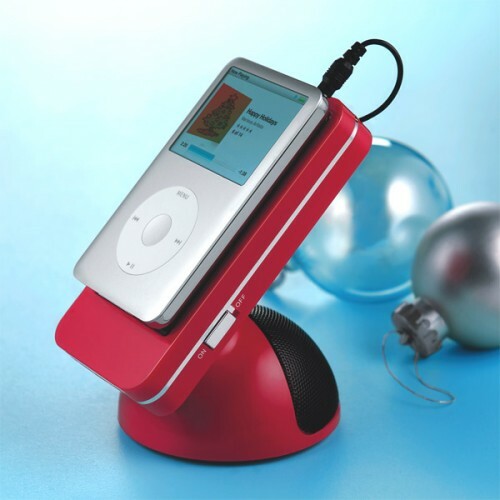 This solar powered iPod speaker has an input line-in so it will also work with any other MP3, CD, Mini-disc, cassette tape, or portable record player that has a headphone jack. 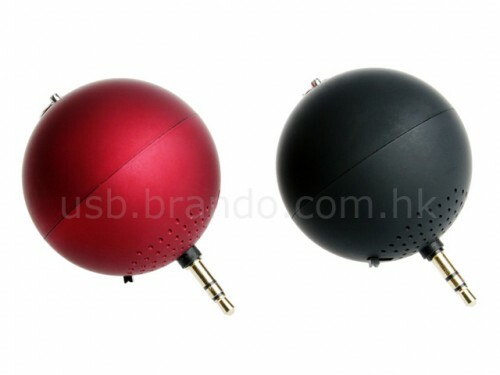 The speaker can also run on AC power for those cloudy days. 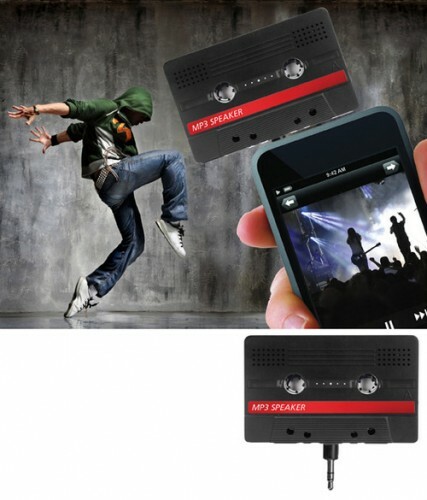 A remote control is included in the $199 price.